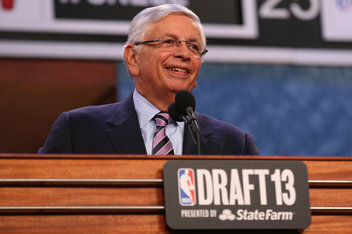 On Wednesday, the NBA Board of Governors will be voting on whether to change the format of the NBA Draft Lottery process. In the reform, the 14 non-playoff teams will still vie for lottery positioning in a lottery style system. What does change are the percentages to vie for the top 3 picks. In the current system, the team with the worst record has the highest chance (25%) of getting the number 1 pick, while the lottery team with the best record has the lowest chance (0.5%) of getting the number 1 pick. 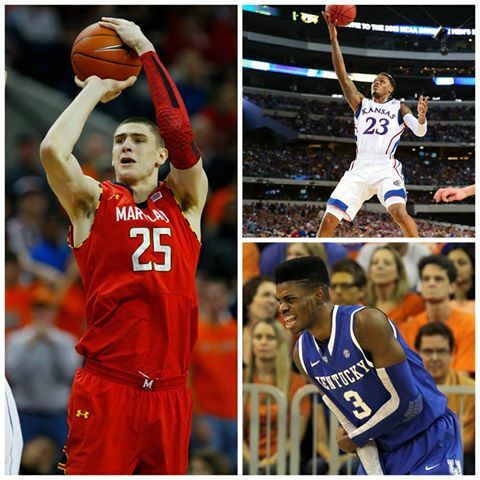 The basic gist of the current system is, the worser your record, the better your chances of obtaining a top 3 pick. In the proposed new system, the 4 teams with the worst records each have a 12% chance of getting the first pick, with the 5th worst team garnering an 11.5% chance, and the 6th worst team garnering a 10% chance, and on down the line. Even worse, in the new system, teams aren’t as protected as they are in the current system from free falling to a lower spot in the draft. Under the current system, the team with the worst record can not fall lower than the 4th pick. In the new proposed system, the team with the worst record has the possibility of falling all the way down to the 7th pick. Free agency is to big market teams as the draft is to small market teams. Big market teams are at an advantage because they can not only build during free agency, but also in the draft if they are lucky enough. Unfortunately, small market teams can usually only build through the draft. For as great as Oklahoma City, Salt Lake City, Charlotte, New Orleans, and Milwaukee are as metropolises, they pale in comparison to the global cultural centers that are New York, Chicago, Miami, and Los Angeles. 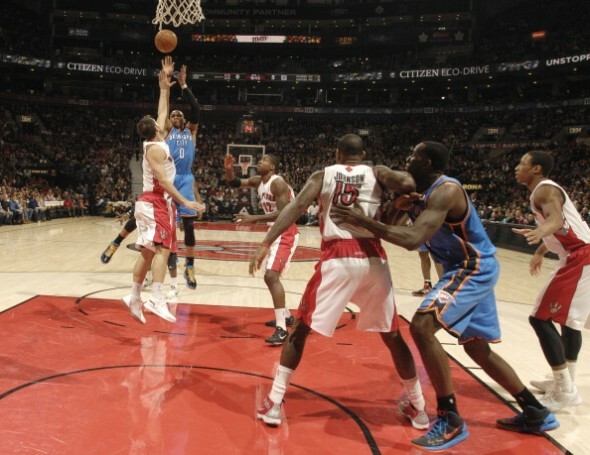 The Thunder experienced this with Pau Gasol this offseason. While not necessarily a top 10 player, Gasol would have instantly made the Thunder the favorites to win the title in 2014-15. But when push came to shove, Gasol, having just completed a 7-year run with the Los Angeles Lakers, decided to go with the Chicago Bulls. 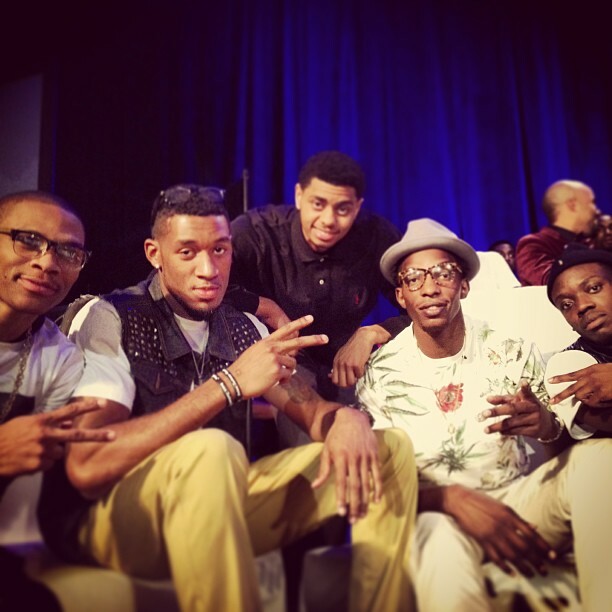 One of the factors in his decision was the lack of cultural diversity in OKC. 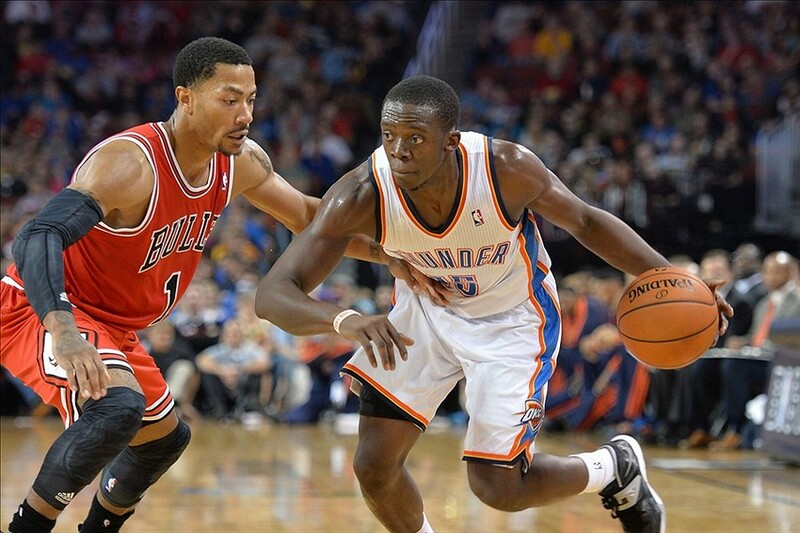 Whatever that is, when you compare OKC to Chicago, you kind of see what he is talking about. I don’t know when was the last time a small market team signed a marquee free agent (and by marquee, I mean a Top-20 player at the time of his free agency). The last one was probably when Peja Stojakovic signed with the New Orleans/Oklahoma City Hornets in the 2006 offseason. At the time, Stojakovic was a fringe top 20-30 player in the league, but was beginning to show the signs of being injury-prone. The Hornets, of course, overpaid, and injuries were a major theme of Stojakovic’s term with the Hornets. 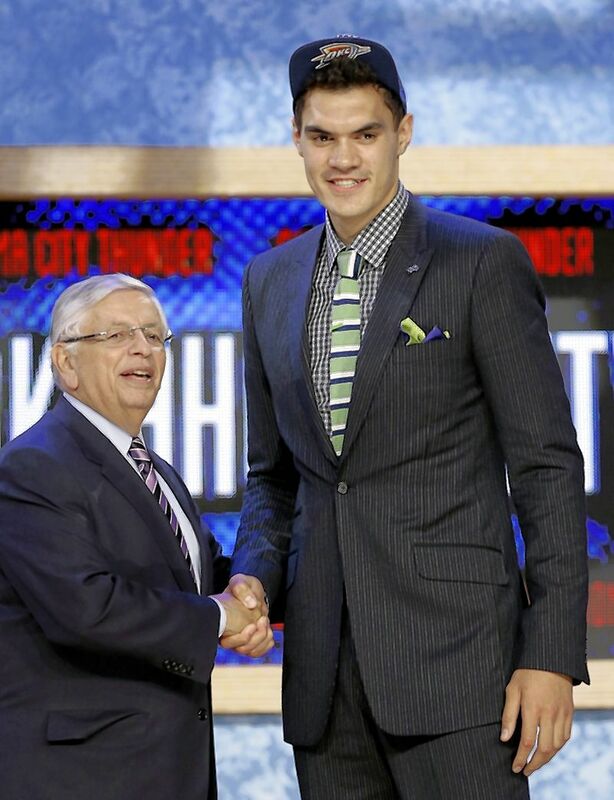 With this new draft reform, the NBA is essentially decreasing the life blood of talent to small market teams. The cycle of success to rebuild and back to success occurs a lot more regularly for small market teams than it does for big market teams. Small market teams have to rebuild when times get rough, and hope that they don’t make a big mistake. Big market teams can simply reload when the well runs dry. Is it always successful? No. But if the same mismanagement of funds that occurred with the New York Knicks from 2005-2012 would’ve happened to occur in Milwaukee, you can rest assured that Milwaukee would either be under new ownership or would be playing in a different city. The draft is the harbinger of hope for small market teams. And this new draft reform would lessen the opportunity for small market teams to nab a franchise talent like Kevin Durant, Russell Westbrook, or Anthony Davis. The ironic part of all this is that the team at the center of this change is a big market team. The visual tank job that has been the Philadelphia 76ers in the past season and a half is at the root of all the draft reform discussion. In the past 18 months, the 76ers have sent away any veteran asset they had for draft picks and cap space. And in the last two drafts, the Sixers have taken 3 players in the lottery that were either injured (Nerlens Noel and Joel Embiid) or not intending to come to the NBA for at least two season (Dario Saric). Strategic tanking has always been a part of the rebuilding process. A rebuilding team wants to shed salary and obtain assets, while at the same time putting a “competitive” product on the floor. But Philadelphia has completely eschewed the competitive part of the equation, and has blatantly put a subpar product on the floor in order to build for the future. It is no different than other tank jobs, with the exception of the blatantness of it all. With all this on the table, it would almost seem to be a given that at least 8 teams would be against this draft reform. Philadelphia, for sure, would be at the forefront. 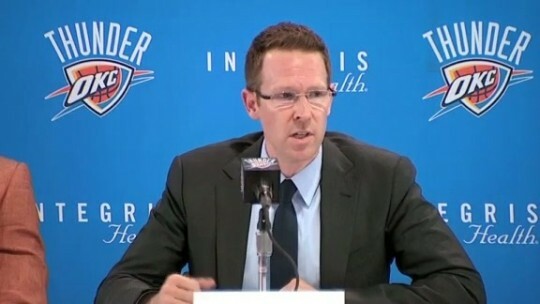 But stepping up to the podium has been Thunder GM Sam Presti. Surprisingly, Presti, of the championship contending Thunder, has been leading the charge against draft reform. You see, Presti knows what’s at stake. Under the current system, a couple seasons of drought can lead to gold if you draft well and spend your money wisely. But under the proposed system, those couple of seasons of drought can lead to gold or they can lead to iron pyrite. And while draft position is never an exact science, a lot more superstars are drafted in the top 5 picks than anywhere else in the draft. Presti is always looking ahead and knows that there will come a time when Durant, Westbrook, and Ibaka will no longer be donning Thunder uniforms. It could be in the next 2-3 seasons, just like it could be in the next 10 seasons. 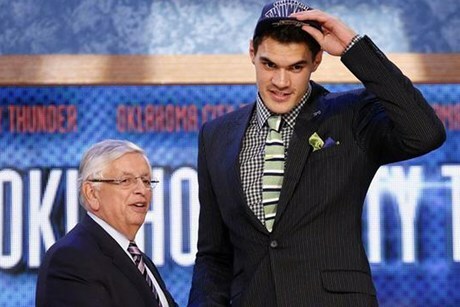 But when that day comes, the Thunder will likely look to the draft to rebuild. According to Adrian Wojnarowski of Yahoo!Sports, Presti is struggling to come up with the six extra votes to block the 3/4 majority needed to pass the draft reform. Which is absolutely asinine to me. If those small market teams would realize how much more difficult it will be for them to land franchise talent with this change, it would seem like an easy decision for them to make. If anything, this is an opportunity for small market teams to flex a little muscle. Like Frank Underwood of House of Cards says, “There is no solace above or below. Only us – small, solitary, striving, battling one another. I pray to myself, for myself.” I can definitely see Presti working the back channels tonight like Underwood in trying to get those necessary 6 votes. And after he gets the votes, I can see Presti going to his hotel, opening up his balcony window, and cooly smoking one lonely cigarette while staring into the night. I’ve learned you never write about anything right when it happens. With emotions at a crescendo, you may exaggerate the highs and hyperbolize the lows. With that said, this draft was a bit of a disappointment. 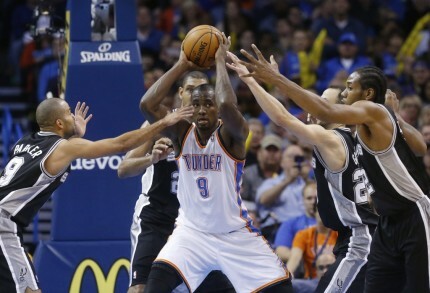 Not necessarily with the players that we got, but with the lack of activity from the Thunder. 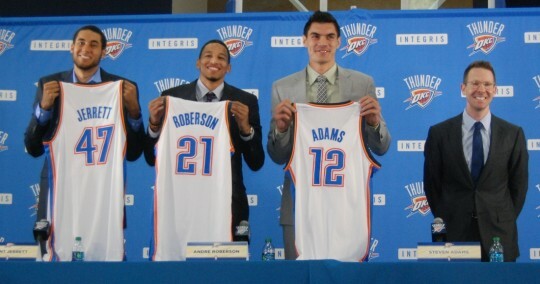 We’ll never know whether the Thunder intended to draft the two players they got from the get go. But with needs being what they are, the Thunder didn’t really fill any of their most glaring needs with their two draft picks. And that’s where the disappointment lies. With that said, the Thunder do enter the free agency period with more cap flexibility and more money in hand than they have had in the past. Maybe they intended to get two players in the draft all along and decided to fill their needs via free agency. With perimeter shooting being one of the most glaring needs, the Thunder could easily get that after July 1st from someone like CJ Miles or Mike Miller. Or they may entice a team that is looking to rid themselves of salary in order to make a big free agency splash (i.e. 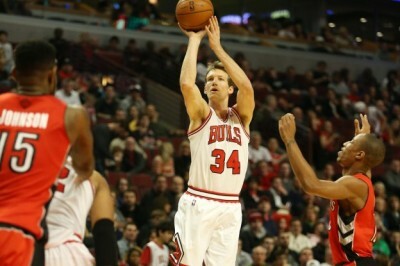 Mike Dunleavy Jr from the Bulls using the $6.6 million dollar Traded Player Exception). While the expectations leading up to the draft may have shrouded the draft in disappointment, it’s always important to remember where the Thunder are, in relation to the rest of the league. They were one of the Top 4 teams in the league and took the eventual champs to 6 games in the Western Conference Finals. While getting to the Western Conference Finals may no longer be a cause for celebration, it’s important to remember that this team is on the cusp of a championship and has their core pieces in place. I like to compare this team to a great album. The core players (Durant, Westbrook, Ibaka, Jackson, and Adams) are the hits on the album, while the other players are the filler tracks. The better the filler tracks, the better the album. 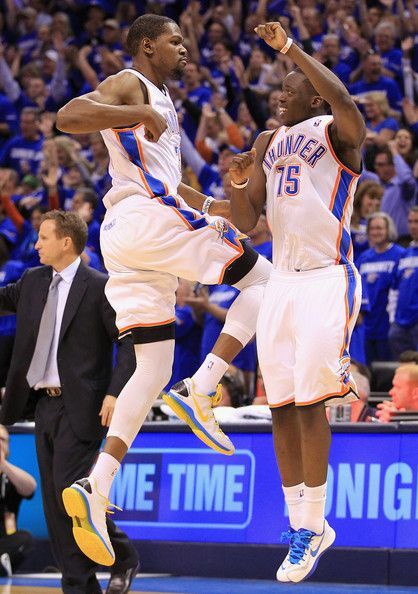 The Thunder are close to having a great album, and the filler track have enough time to grow on you. 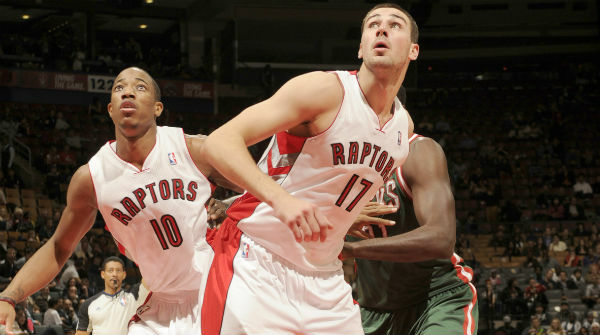 When the Toronto Raptors chose Bruno Caboclo (who??!! 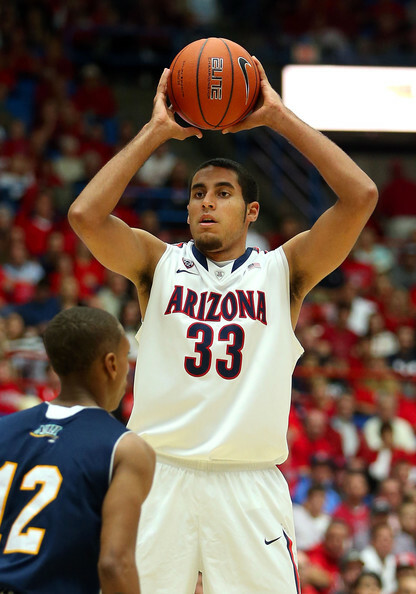 ), I was certain the Thunder would select either Clint Capela or Kyle Anderson. And I would have been happy with either of those selections. But then the Thunder selected McGary, and I was like “Huh?”. Let me preface this by saying, I was a huge fan of McGary’s in the 2012-13 season, when Michigan made their run in the tournament. 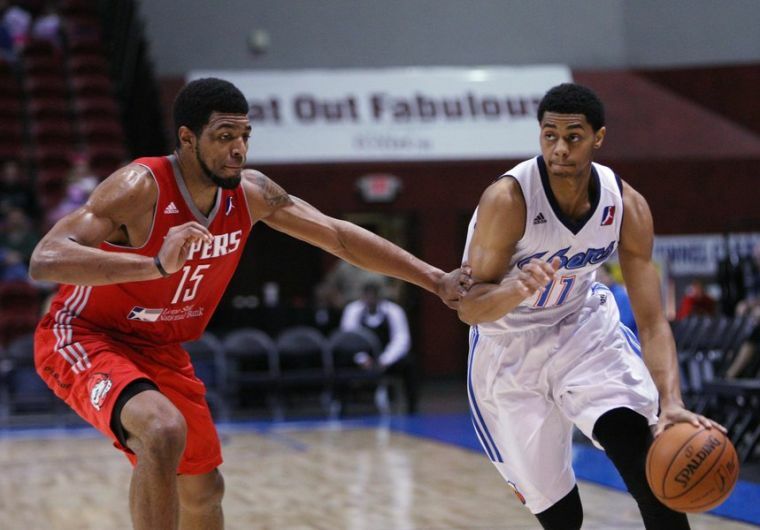 I thought he had the potential to a Nick Collison/Bill Laimbeer type player for the Thunder. 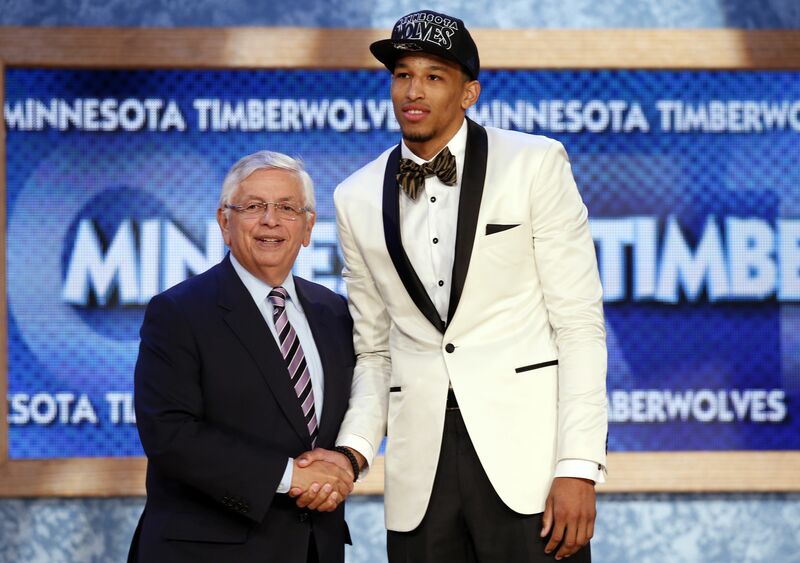 When he decided to stay in school for the 2013-14 season, I said to myself, “I wonder if he’ll be available for the Dallas pick (wherever that may end up being)?” With McGary being a potential lottery pick and the Dallas pick being protected for the top 20, I figured there was no way McGary would fall that far down. But alas, McGary was injured for most of his sophomore season with a back injury and was facing a season long ban due to a failed drug test. 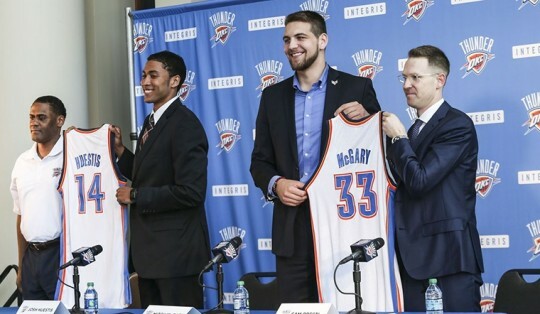 With all that stacked against him, McGary decided to enter his name into the draft. With an injured back and a bit of a tarnished reputation, McGary’s stock fell. 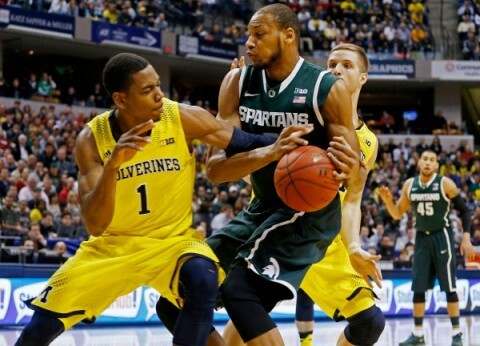 Adding to that fire, McGary refused to allow NBA doctors to perform a physical on him. Many people viewed that as a sign that he was damaged goods, but apparently that might have been a smokescreen due to a promise he received from the Thunder. 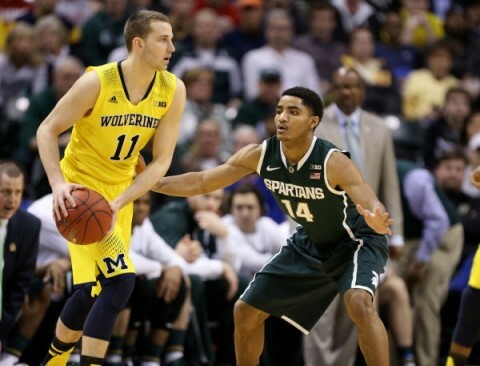 So what does McGary bring to the table? 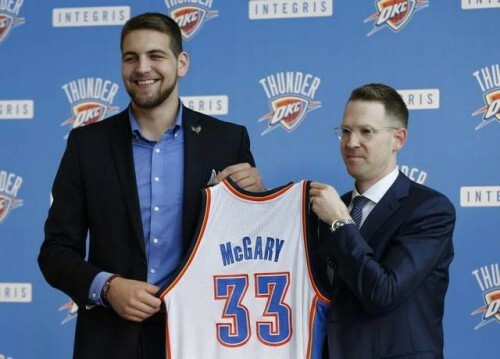 With Nick Collison aging and in the final year of his contract, McGary becomes a great development replacement for the veteran. He has a lot of the same skill set as Collison. He sets great screens, is good in the pick and roll, is a good passer, and has the (surprising) quickness and agility to get around most big men. 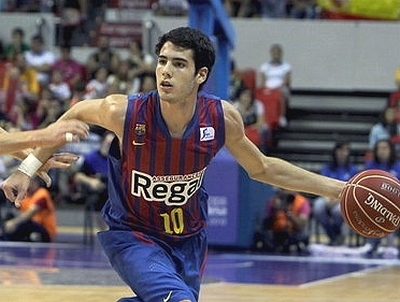 He has great role player potential and will probably get meaningful minutes sometime this season. When you write a blog, one of the chores is to do research. So when the season ended, I immediately switched over to draft mode. I watched most of the draft video breakdowns at DraftExpress.com and NBADraft.net. 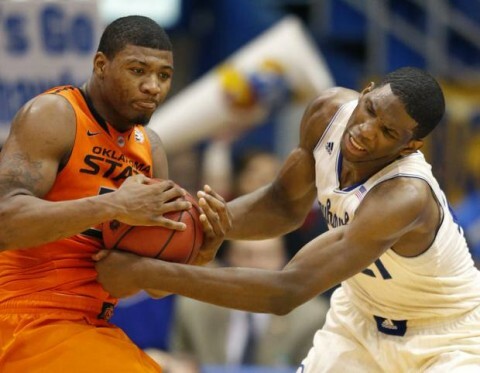 I got to know the players who would logically be available when the Thunder chose at 29. 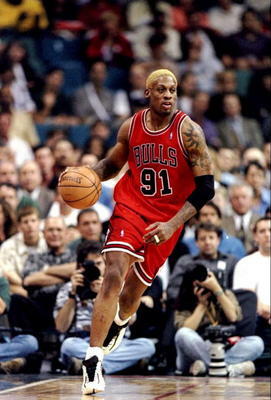 But once again, the Thunder managed to surprise me and chose someone whom I did no research on. Josh Who-tis??? When I first saw his name, I thought he might have been hispanic. I thought his name may have been pronounced Josh Wes-teez. 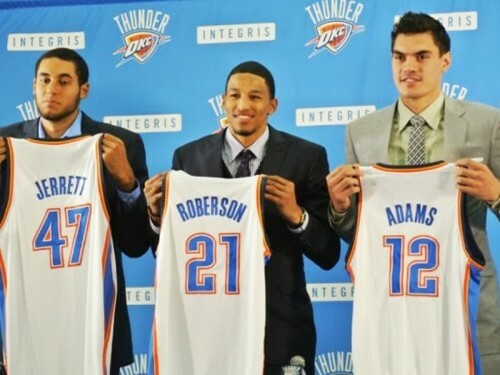 Last season, it was Andre Roberson, who was billed as a perimeter defender and wing rebounder. 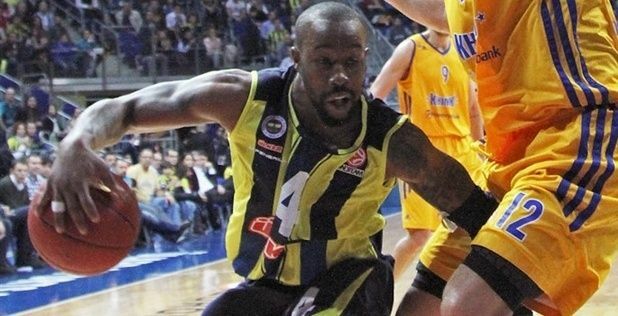 This season, it was Huestis, who is being billed as a perimeter defender and wing rebounder. Whaaaatttt???? I’ve kind of gotten over the fact that we didn’t draft a wing that could shoot. But why rehash the “perimeter defender who needs to develop a shot” routine? 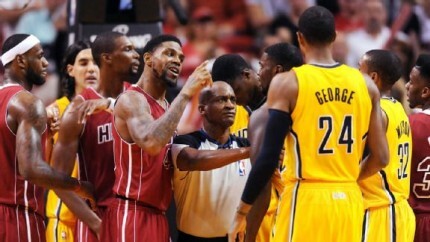 And let me reiterate….this has nothing to do with Huestis. He seems like a hard worker and someone who will fit in the Thunder culture. But at what point do we stop drafting these types of players and start drafting more complete players? Even at 29, players like Kyle Anderson, Cleanthony Early, and KJ McDaniels were still available. After looking around the internet, I happened upon some Huestis videos. 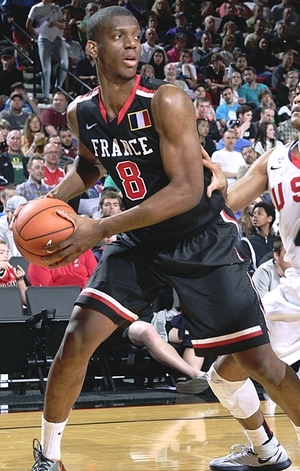 He is definitely a big perimeter defender that does great in one on one situations. He seems to have a better shot than Roberson at this same point last season, but its a shot that still would not be deemed threatening to opponents. Word is that the Thunder intend to have Huestis develop in Tulsa for most of the season, but they said the same thing about Roberson and he ended up starting 16 games last season. When I started looking at mock drafts around January, Christon’s name began showing up at the Thunder’s pick late in the first round. 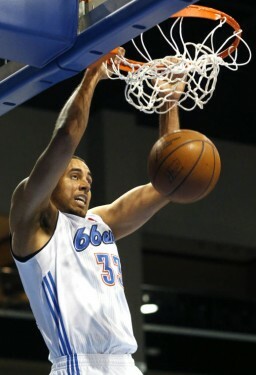 With the uncertainty surrounding Reggie Jackson’s future, the Thunder decided to buy Christon’s rights from Charlotte. 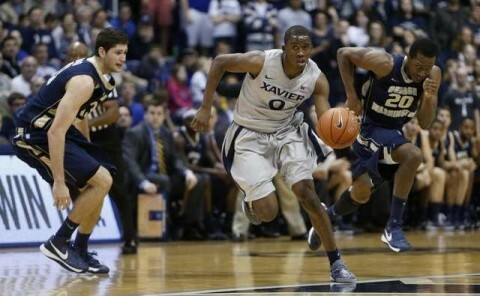 Christon has good size for a point guard (6’3″) and carries a 6’6″ wingspan. 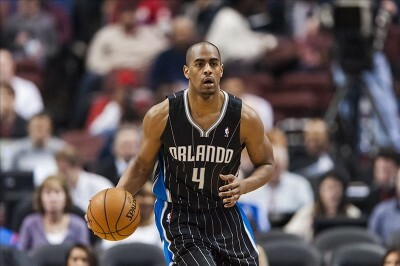 He reminds me a lot of Marquis Teague of the Chicago Bulls. Someone that plays athletically and can get into the lane. 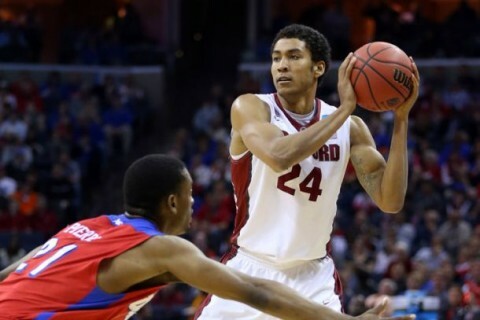 But also someone who will have to work on his shot and develop more of a floor game as a point guard. Will he make the team? I have no idea. 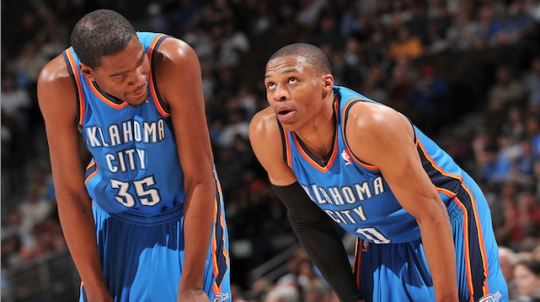 It all depends on who the Thunder acquire during free agency. With 12 players already guaranteed and 2 on non-guaranteed team options (Hasheem Thabeet and Grant Jerrett), there may not be enough space on the roster for Christon to be signed. But you can guarantee that if the Thunder like Christon, they’ll find some way to keep him within the organization’s system as they did with Jerrett last season. Again, as I wrote last season, this draft had as much to do with the players who were drafted as with the players who were still on the roster when the night ended. The team has extreme confidence in the young players within the organization and has plans to keep them on the roster for right now. They could have possibly included them in draft day deals in order to move up, but chose, instead, to stay the course and let that royal jelly work its magic on players like Lamb, Jones, Roberson, and Jerrett. With the draft over, it’s on to free agency.